The naturalist explores some of the world’s most dangerous environments, beginning with a journey to the Arctic, kayaking across the world’s largest fjord. 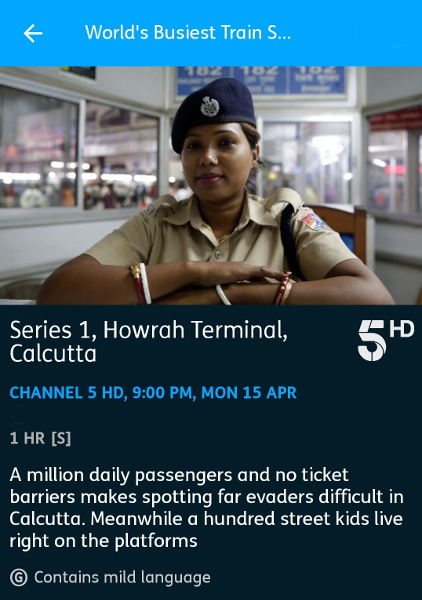 Documentary series exploring some of the busiest transport hubs in the world. 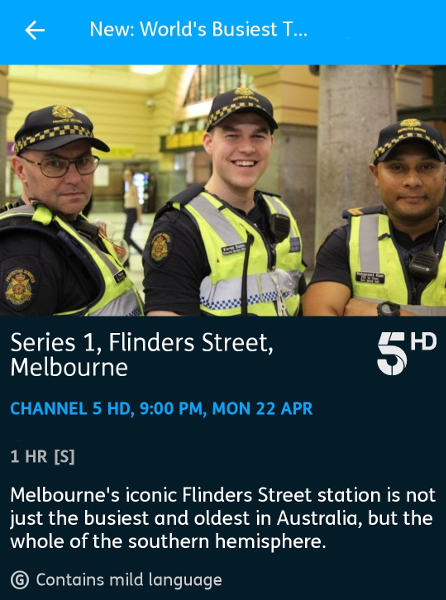 Melbourne’s iconic Flinders Street station is not just the busiest and oldest in Australia, but the whole of the southern hemisphere. 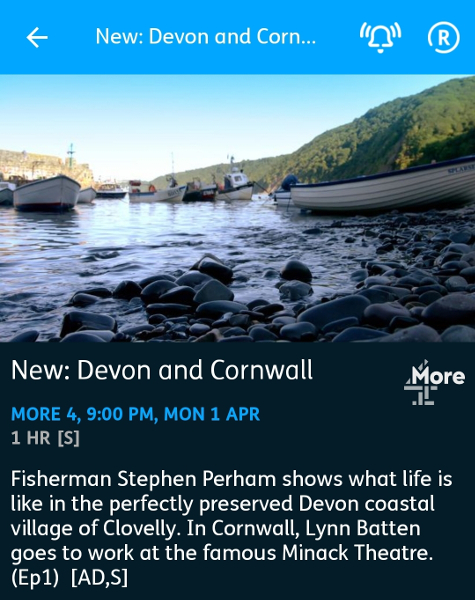 New and first on More4: In Brixham, South Devon, trawlerman Dave Driver sets out to sea on his boat in search of cuttlefish. Sea fishing is one of the most dangerous occupations in Britain. Dave and his crew travel out 25 miles from the shore for an 18-hour shift. On the southern edge of Bodmin Moor, Mark and Isobelle Delbridge, one of Cornwall’s youngest tenant farming couples, are determined to make a success of their new dairy farm. They are keeping things traditional and their hand-delivered bottle milk is growing in popularity. On the northern reaches of Dartmoor National Park, horseback farmers Crispin Alford, his wife Diana and son Steve are preparing to sell their hill ponies. And back in Brixham, there’s a visit to a guillemot colony. Jamie Crawford takes to the skies using aerial images to discover how people in Scotland have lived off the land over the centuries. In an epic self-build project five years in the making, Kevin McCloud follows ten pioneers as they construct neighbouring homes to create an entire street. Twenty-five-year-olds Chris and Roxie take a risk building their first home together using an untested flatpack construction system which sees 380 plywood boxes bolted together.Â It proves repetitive work, especially painting the hundreds of wooden cladding units, and the stress and strain of the project threatens the young couple’s relationship. Peter and Anita and their two teenagers live locally, but have outgrown their current house. Father and son hope to bond while building a dream family home with space for all. But the process isn’t all plain sailing. The teams face the final leg of their journey, travelling 1500 miles down the Malaysian Peninsula. However, seven weeks on the road is starting to take its toll. Music festival goers descend on Glasgow, a street art mystery is revealed, and the oldest and youngest train cleaners on the station set to work. 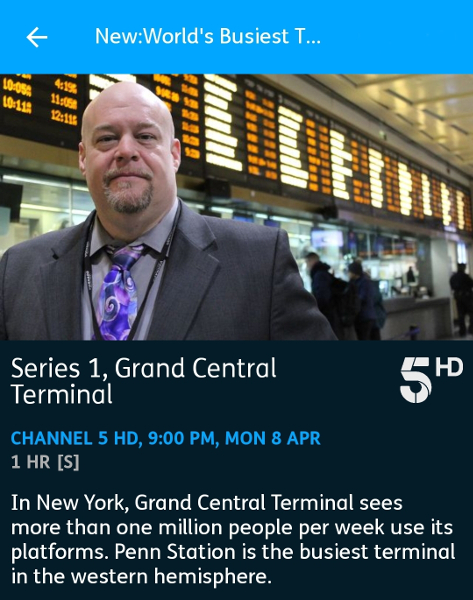 Documentary series exploring some of the busiest transport hubs in the world. In New York, Grand Central Terminal sees more than one million people per week use its platforms and cross its art deco terminus. Penn Station, on the west side of Manhattan, is the busiest terminal in the western hemisphere. In Devon, the Alfords are one of the last farming families to tend Dartmoor’s wild ponies. Demand for the ponies is on the wane, and they must rely on other livestock for their living and nervously await the TB testing of their cattle. On the north Jurassic coast, local adventurers Mark Bullock and George Malkin take on the famous spectacular climb of Black Church Rock. In Cornwall, surfing pioneer Gwyn Haslock gives a tour while preparing for the World Belly Board Championships. Further west, in Poldark country, former miner Les Rowe makes a poignant return to the colliery where he laboured years ago, bringing the Cape Cornwall singers to Geevor to celebrate their shared Cornish heritage in song. In Bicester, Oxfordshire, Kevin McCloud follows 10 households as they embark on an epic five-year mission to construct their own homes and create a brand-new street as part of Britain’s biggest self-build project. In this episode, two young couples – Jack and Hannah, and James and Shannon – who are priced out of the local housing market, hope to get on the property ladder by building their own homes. Jack goes scavenging for raw materials and builds much of his house with his own labour. James and Shannon are making a barn-house home in a project that pushes their relationship to breaking point.